D. Dolliyer designed three productions for Neptune Theatre (Halifax, Nova Scotia): "All Fall Down"; "Snowsuits, Birthdays, and Giants"; and "Don't Count Your Chickens until they Cry Wolf." 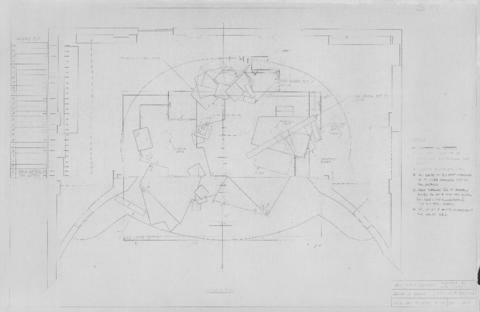 File contains set designs for Neptune Theatre's production of "All Fall Down," directed by S. Osler and designed by D. Dolliyer. Set designs are annotated copies of the original drawings. Location of originals is unknown. See the production records for this play in the Neptune Theatre fonds (MS-3-1) under the series "Production records," subseries "The Veil/All Fall Down."